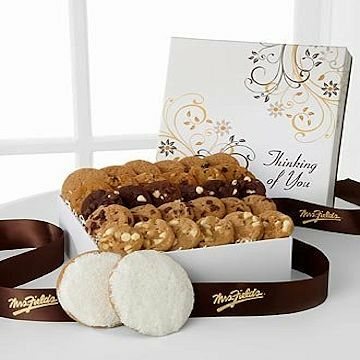 When you can't be there in person, send the next best thing - Mrs. Fields® Treats. This gift includes the following: 30 Nibblers® bite-sized cookies and 2 Frosted Cookies. Your sweet thoughtfulness will be much appreciated and enjoyed.